The cost of the 4 day Discovery tour is $299 per person and we give you a $1000 travel credit if you decide to purchase property from us. 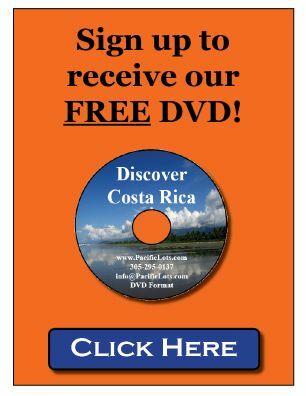 Our 4 day, "Discovery Property Tour" is a great affordable way to check out Costa Rica and our developments. Demand is high (especially in winter) for our tours and our guest house so in order to ensure availability, check with us before making your travel arrangements to Costa Rica. We'll coordinate around your schedule and suggest your flight arrangements accordingly. In all cases you want to fly into the San Jose, Costa Rica airport (SJO airport code), not the airport in Liberia, Costa Rica. On arrival we will pick you up and take you to the Martino Resort (www.hotelmartino.com) located about 20 minutes from the airport and included in the tour fee. Our area of the country is a 3 hour drive from San Jose, to the southern Pacific region of Costa Rica. Our van will on depart to head south on the morning of day two from the Martino Resort, giving everyone time to relax after their flights on the first day of the tour, the Martino has a great restaurant but we do not include meals other than breakfast while at the Martino resort. Our discovery tour includes airport taxi fare, transportation to and from the southern region, 3 nights lodging, all meals (except as noted above while at the Martino Resort) and all tours and excursions. We'll drop you at the airport or local hotel in San Jose after the tour. We have a great chef at our guest house who will cater to your dietary needs and even beer and wine are included while at the guest house. We are in an area with rising elevation and good views go hand in hand with steeper terrain. If you have trouble walking or getting about, you might not be a good candidate for our property tours. We do not sell ocean front property. 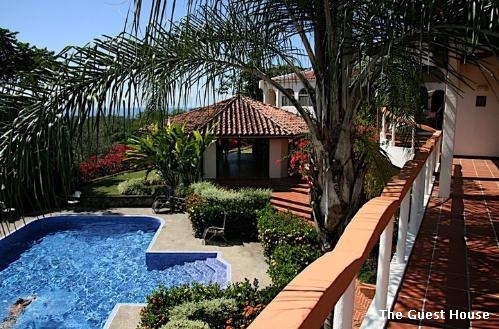 Ocean front property is not for sale in Costa Rica and throughout the country all beaches are public. See our release of liability before signing up for any of our tours. We do have some flexibility on how to visit us but we have had a difficult time trying to offer any one day showings. We get many requests from people who will be in the area of Costa Rica where our developments are located who are interested in a one day tour or to meet with our sales staff and visit our developments. We understand our system is restrictive but our project is not a 40 lot development that you can see in an afternoon with a realtor and with one of the largest construction teams in the entire area and 27 years of history we can’t show it in a day. We are a master planned community encompassing nearly 3000 acres with thousands of owners. We don't sell finca (farm) title but rather we sell registered “en conominio” title with HOA restrictions that are enforceable and provide protection for our owners. But we also don’t saddle our owners with common area amenities that need to be paid for, club houses, equestrian centers, community pools, etc. and we do have enforceable by-laws that keep our community as we envisioned. We are building a large international residential community. Although our $299 fee includes 3 nights lodging, meals, adult beverages, all transport other than airfare, tours throughout the property, what you are really paying for is lots of knowledge and education. We give you $1000 travel credit (in the form of a discount off the property) if you decide to purchase in any of our developments. Cost and Time constraints should be weighed in relation to the seriousness of the investment and outcome. There are lots of complex issues when considering buying property or moving to a foreign country; foreign property ownership, legal documents, banking rules, residency requirements, foreign reporting requirements, property management, rental management, banking etc that we both cover on our tours and offer in our projects. We make it easy to own your property and do what you envisioned with it while offering an easy interface for our clients to meet the letter of the law. Information on our "Discovery Tours" Click the link for a complete description. Our 4 day Discovery tours include all lodging, meals and transportation within Costa Rica other than meals on the day your arrival. If you arrive on the start day of the tour, we will be waiting for you when you arrive at the airport. We'll drop you back at either a hotel in San Jose or the airport on day four around 6:00 pm. We recommend you stay that night at either the Wyndham Plaza Herradura or the Adventure Inn. These property tours include lodging at the Martino Hotel and Resort on the day of your arrival into San Jose, transportation to and from our developments, two nights lodging at our guest house and tours of our properties. We generally limit the number on these tours to 14 people between couples and singles. While at the guest house, we include everything; all transportation, lodging, meals and beverages (beer and wine included). Meals feature fresh local seafood, fresh meats, gourmet salads and plenty of fresh fruits and vegetables and we cater to dietary restrictions, allergies and aversions. We have a top notch chef on premise who makes amazing meals. We'll tour our developments and see houses we've built, houses currently under construction and available home sites and lots. Discovery tours are $299 per person. You are responsible for your airfare to San Jose. The first step to set up a visit is to complete the Online Client Visit Application here. You can find a word version of the form here Word Version Client Visit Application. There are NO SALES PRESENTATIONS. You will be flying into San Jose airport (SJO airport code) and should plan to arrive on the first scheduled day of the tour and book a flight out no earlier than 8:00 pm on the last scheduled day of the tour. Most people need to stay the night when we arrive back in San Jose, to fly out the next morning. We can add a hotel on that last night for an additional fee of $105 and that hotel will include a free breakfast the following morning as well as free airport shuttle. For a photo pictorial of what to expect on our 4 day visit, click here. We charge $598 deposit per couple ($299 per person) to visit the guest house but if you purchase any of our home sites on the trip, we give you $1000 credit toward the cost of your airfare. As in any of our tours, we offer a 5% discount for cash purchases but offer full financing if you prefer. The first step to set up a visit is to complete the Client Visit Application. There are NO SALES PRESENTATIONS. I should mention is about the size of our project, demand to visit and the limitations of our staff. We are not a 40 hectare project that you can visit it a half hour. Our developments cover over 3200 acres, in 17 phases. We regularly turn away people who call us last minute and want to "stop by". Our guest house staff works very hard and we are very busy at this time of year, especially with the holidays. Since our project requires a lot of time to fully view and understand, it is helpful to give us as much notice as possible so that we can prepare for your arrival and have a Property Guide available. We suggest you allow adequate time for a visit and point out that if you contact us at the last minute for a tour, we may not be able to accommodate you. The best ways to see the property are listed above. Here's your chance to come and visit us before the rest of the world shows up.... You should also be in reasonable health and not have issues with normal mobility, stairs, etc. Although our area is one of the most scenic you will ever visit, we are in an emerging area. Many roads are not paved and they can be rough at times, especially at the end of the rainy season before they have been re-graded. We do not sell ocean front property, we sell ocean view. Our home sites are located between a mile to up to three miles from the beach with minimum elevation of about 400 feet above sea level. Sitting back from the beach provides less highway noise, better sweeping views, it limits the bugs and affords better breezes. Although it would be possible walk to the beach, walking back would require climbing 40 stories or more and the walk would be difficult. Residents in town drive their cars or take ATV's to the beach. At this point we don't yet have a downtown section that you may be expecting but our town is growing fast. Though we have a large number of restaurants, most are on side roads and not centrally located. Many of our homes are hidden in the jungle fauna but we have a really tight community and there are a lot more people in town than people imagine. Our activities involve people and community, not shopping and things. Don't get me wrong, we have plenty of shopping available but life is different here. Yes we have satellite TV, 3G cellular service, high speed internet etc but the US is the largest consumer nation in the world and Costa Rica is not the US. Sure you can find Walmart, Pricesmart, OfficeMax and nearly every high end store lke Hugo Boss, Ralph Lauren, etc but most of them are in San Jose, not where we are. More dates to follow, just ask if you want dates that are further in the future or have dates that you need us to add.